Any idea what the issue could be? Thanks. 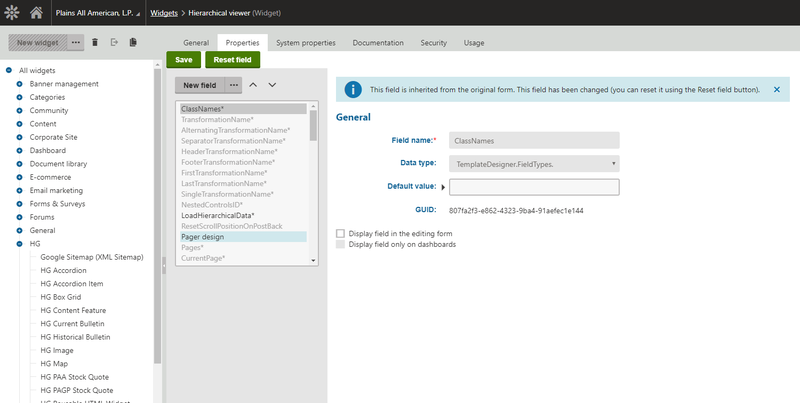 Based on your screenshot, the ClassName field is not check for display in the editing form which means you won't be able to see it in properties of the widget. Please compare the widget property and system property configuration between v8.2 and v9. It looks like there may have been changes to the Universal View web part property which led to some of these fields been reset. You will have to manually change those settings in v9 for that widget. can you check you Event Logs app to see if you are getting macro errors? also, I think by default there is only the HV webpart, so this widget version must be created during implementation. 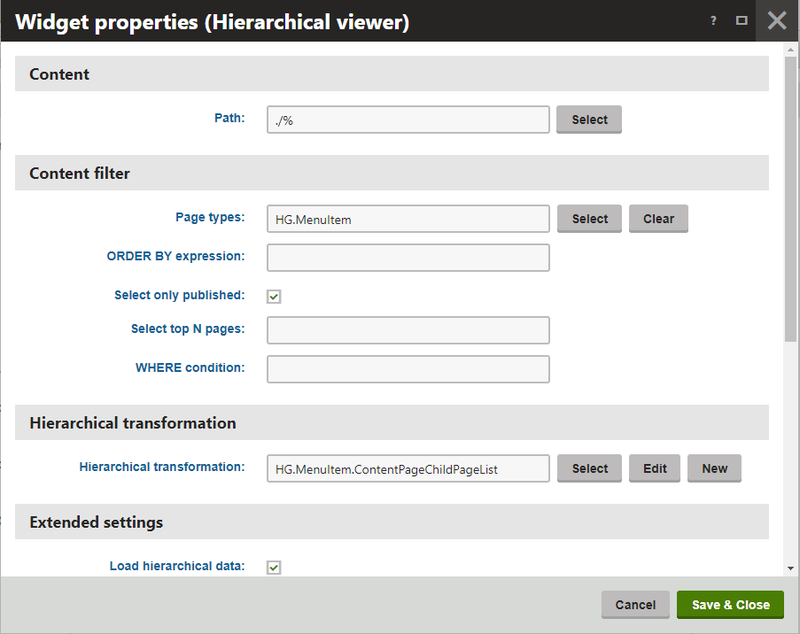 Can you double check if the HV webpart on a test page to see if that can load up correctly? Description: Could not load the devices data package. I created a blank test page and was able to add an HV control on their normally. 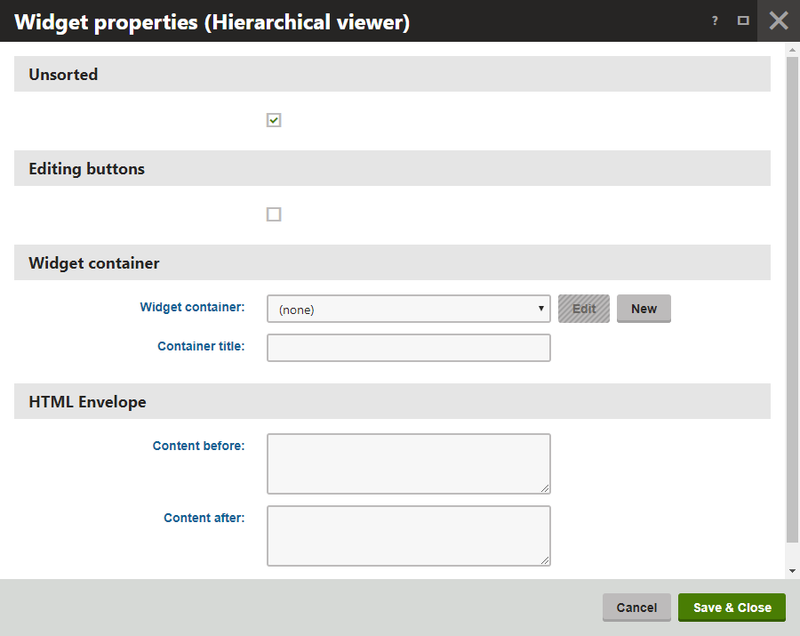 can you check the widget app and look into the property configuration of the HV widget, see if all fields are setup the way you want?